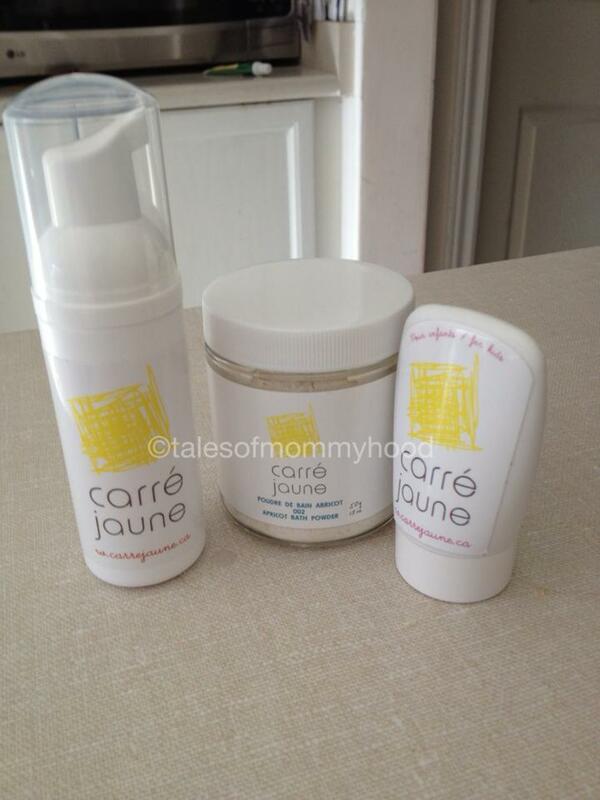 A little while ago I was browsing through Everything Mom and Baby and came across the Carre Jaune line. I was looking for a new bath product, and found the Apricot Bath Powder. I wanted something that I could use either for myself, or for the boys. After ordering, I was given the chance to review the Carre Jaune Apricot Cream and Natural Foam Wash. There were a few reasons I decided to give the Carre Jaune line a try - first, it is made in Canada, and I love to support the Canadian economy. Next, the Carre Jaune line is free from Phtalates, Parabens, BPA, Sodium Lauryl Sulfate, EDTA and Synthetic or Chemical Ingredients. Since I try and stick to natural products for our skincare - this was great for me. Carre Jaune was developed in Canada by a mom of 2. When her daughter was born, she was looking for natural, eco-friendly children's products, but was unable to find any she was comfortable using - so she decided to make her own. When the products arrived, I set them to the test. The first thing I did was the smell test - if the scent is too strong, it turns me off immediately. I was pleasantly surprised when I opened them that there was just a subtle scent to them. Next, I had a bath. I added just a little bit of the powder to the water in the tub, and settled in to read my book. I really enjoyed the fragrance of the powder, and when I emerged from the tub my skin was silky. I dried off and followed up with the Apricot Cream which helped to lock in the moisture, and my skin remained soft and smooth the following day as well. I really like that the cream doesn't leave you feeling greasy - my skin absorbed it almost immediately. For the Natural Foam Wash, I used it on the boys the next day in the tub. You can use it for washing hair or body, so I did both. Just a small amount was needed, and the pump it comes in really adds foam (something I wondered about with no SLS in it). It was easy to wash out of their hair, and left it smelling clean and fresh. I then went to work on washing their bodies and again, it left them smelling clean and fresh, and followed up by the Apricot Cream - their skin was soft and smooth. I always worry slightly when trying new products as the 3 of us have eczema. 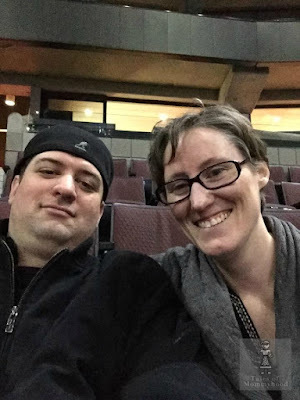 Mr. K's is the most severe, and I am happy to report that none of us had a reaction. I actually noticed a patch on Mr. K's hip that seemed to go down, almost disappearing after a few days of the cream. If you are in the market for new skincare products, or are just making the switch to a more natural product, then I would definitely recommend you try out the Carre Jaune line! Lovely! I'm so happy you and your kids enjoyed it. I even use the foam for my face. It's so gentle and soothing on the skin. I love baths. I've never heard of bath powder, sounds interesting. Ohh and I love that it's Canadian! Good to know. I did not know about Caree Jaune. Where can you buy it? Shopper's maybe? I'll have to go to the website for a better look. Nice to know that you did not have a reaction. I love that this is enjoyable for you but also safe for kids too! That is something I need! Thanks for the share! This sounds like a fabulous line! My family suffers from sensitive skin and I have extended family that deals with eczema so I'm always interested in products that minimize the chance of a reaction! Thanks for sharing!